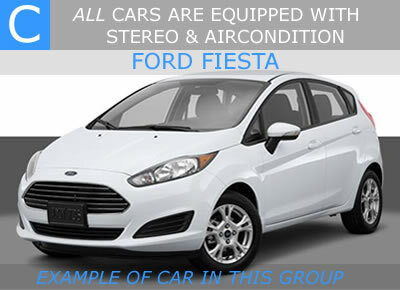 This page is ment to give you a good and precise idea of the different car types and group divisions according to the cars sizes before choosing your car rental in Malaga. We contantly buy and sell cars in Malaga, hence some cars are brand new and some are up to two years old. 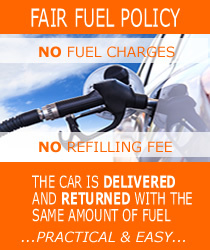 We offer a variety of car brands but CANNOT guarantee to deliver any specific car brand. 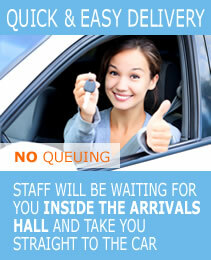 We DO guarantee is the deliver the size of car you have booked, i.e. 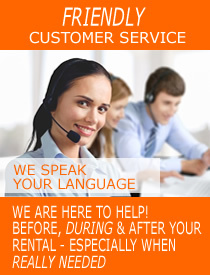 THE GROUP you choose for your car rental in Malaga. The descriptions and images speak for themselves - however, if you have doubt regarding car rental malaga and which car to choose, please contact us before booking your car hire in Malaga with us. Cheap car hire from Malaga The B group is the smaller car in our fleet with only limited luggage space. Its suitable for 2, 3 and 4 person, although by law, you may be 5 accupants in it. One back seat can be folded down leavin more space for luggage if required. Group C has got somewhat more space and is suitable for up to 4 - 5 persons. A good choice a small family with 2 kids, always subject to the size luggage and the size of each suitcase, but 5 ADULTS with luggage will struggle to be comfortable in this car group. Group D are all cars with 5 doors car rental Malaga. 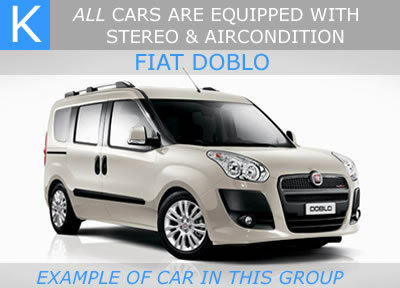 It is the commonly know medium size family car after european stadards and perfect for a small family of 2 adult and 2 children, or group of 4-5 adults. These cars are confortable travelling cars and hence adequate for daytrips. All models are HATCH BACK versions WITHOUT a seperate boot, but have more luggage space and larger engines than C.
These cars are identical in size to those in group D - the only difference is the automatic gearshift. 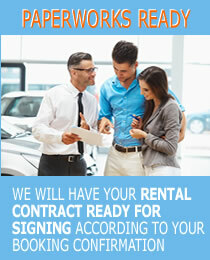 This is the commonly known "standard" sized estate car rental Malaga. 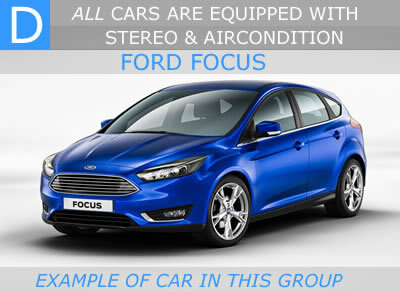 It is a car suitable for the group of 4-5 adults with plenty of luggage, and/or families with additional luggage such as push chairs or wheel chairs. This type of car is quite spacious and quite wide backseats - a popular choice because of its large boot. Comfortable to drive with the feel of any "normal" car. Having 2 back doors and a side sliding door, its easy to load. 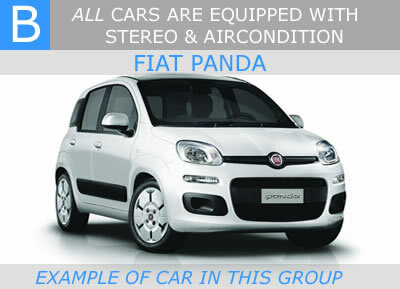 This group is an ideal travelling car suitable for groups of 5+ adults with plenty of luggage. There are 2 foldable seats at the rear - if kept folded down the rear end can be used for luggage. Group J accomodates maximum 7 persons (5 + 2 seats) - but keep in mind that the luggage space is limited if all seats are in use. 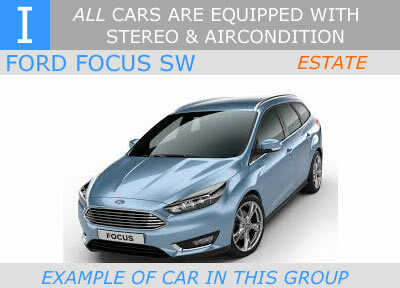 Same cars and capacity as group in F - the only difference is the automatic gearshift. please remember... the more accupants in any car, the less luggage space...:) If you have questions regarding size please drop us a mail so that we can assist in finding the most suitable car rental Malaga airport.